I hope you all had a wonderful holiday! 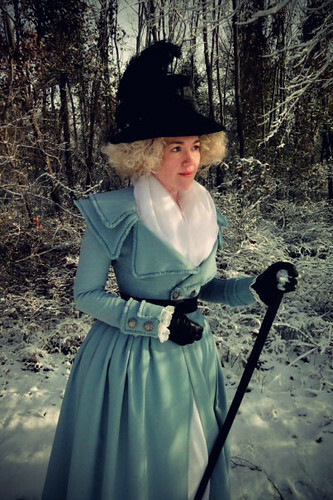 This year, we were treated to a very rare white Christmas in Texas, and my whole family had so much fun frolicking in the snow. Since I didn't get a lot of good posed pictures of my new redingote last month, I decided to make use of the pretty winter backdrop today and snapped a few more pics at the park. 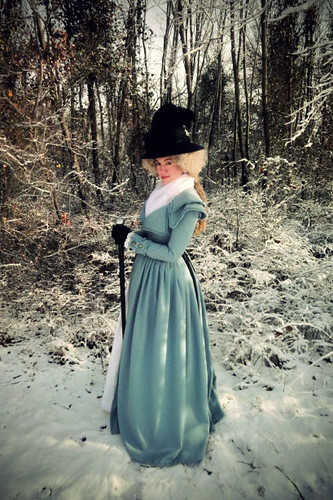 It was so much fun wearing this outfit in cold weather. 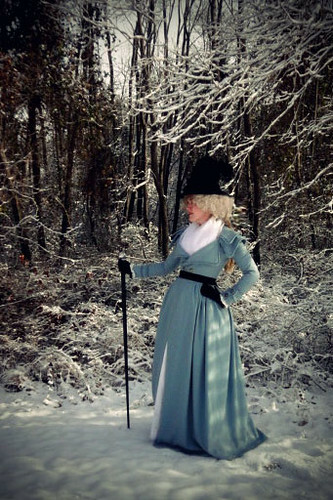 I stayed nice and warm in my gown, and the colors seem to go so perfectly with the snow and bare trees. I could have kept going for hours, but my son decided that more snowball fights were in order, so I changed back into my street clothes and returned to 21st century mom-mode. Unfortunately, my camera doesn't like cold weather and all of my pictures are a bit out of focus and hazy, but we're going to call that blurriness "artsy" and go with that. 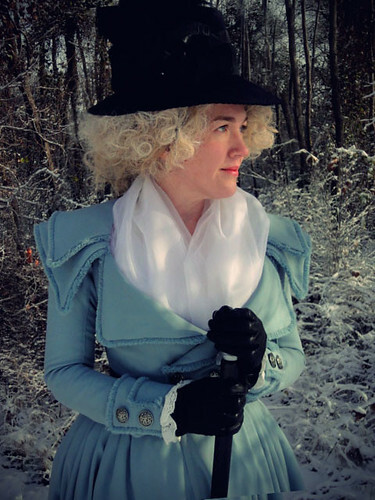 ;) But anyway, it was a fun little excursion and a perfect Christmas gift from mother nature for a costume nerd like myself. This past Saturday, a group from the DFWCG attended Plano Heritage Farmstead's holiday celebration - Lanternlight. 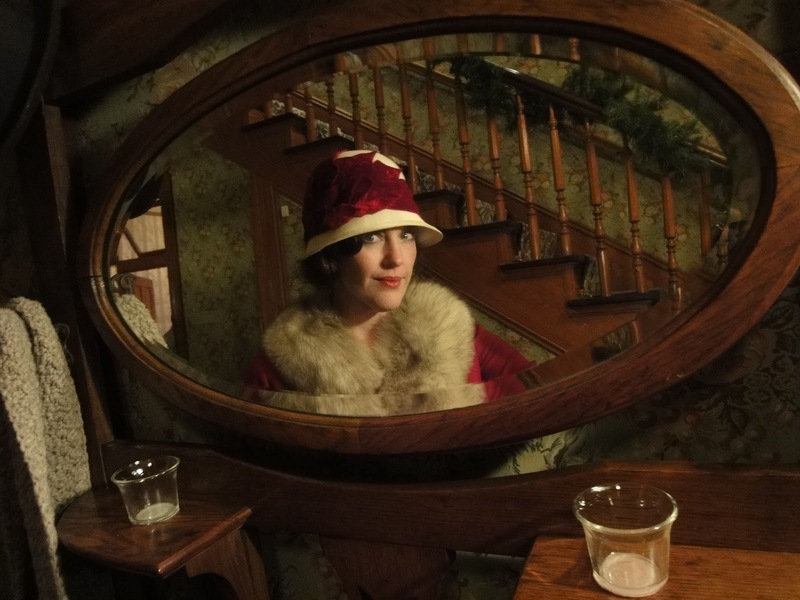 The theme for this event is usually turn-of-the-century Victorian/Edwardian, but this year they switched things up a little and did 1920's, which was SO much fun! In the past, I've kind of turned up my nose at 20's fashions because I don't find them to be the most flattering styles, but I've really come around over the past few years and I'm enjoying them more and more. I've discovered that not all 20's dresses look like shapeless feedsacks, and some of the styles are really chic and fun to wear. 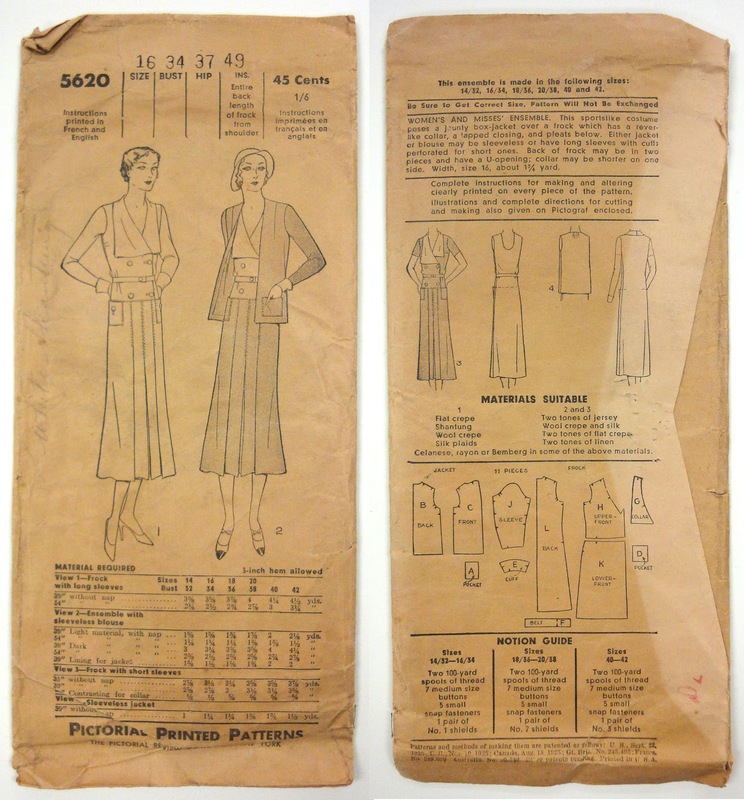 For my dress, I used an undated Pictorial Review pattern, which I am guessing from the styling is from 1930-32ish. 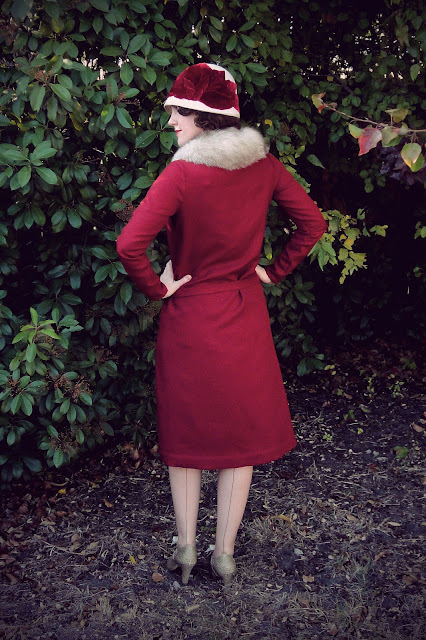 But you can see from the pattern diagram on the back that there is almost no shaping in the dress, and I discovered that if you wear the belt at the hips and shorten the skirt a little, it passes for a 20's dress with no problem. You could really see the changes going on in the pattern industry with the way this pattern was made. It has a very brief instruction sheet like older patterns with only the most basic construction steps covered, but then it also has printing on the pattern pieces with cool little illustrations and extra hints and tricks for how to put it all together. 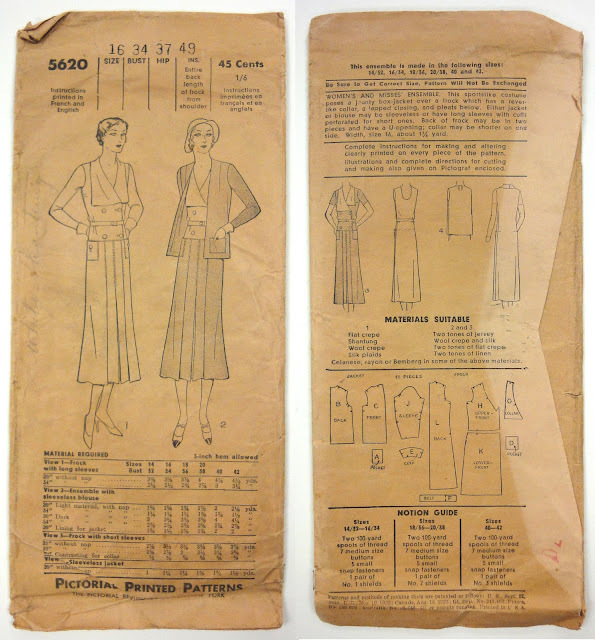 Compared to the other 1910's and 1920's patterns that I own, this wealth of information must have been such a welcome change for home seamstresses! 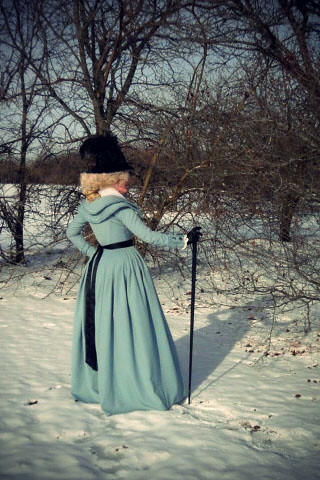 The only changes that I made to the Pictorial pattern was to leave off the cuffs (no good reason why - I just got lazy), and I also omitted the collar so I could wear a fur collar instead. 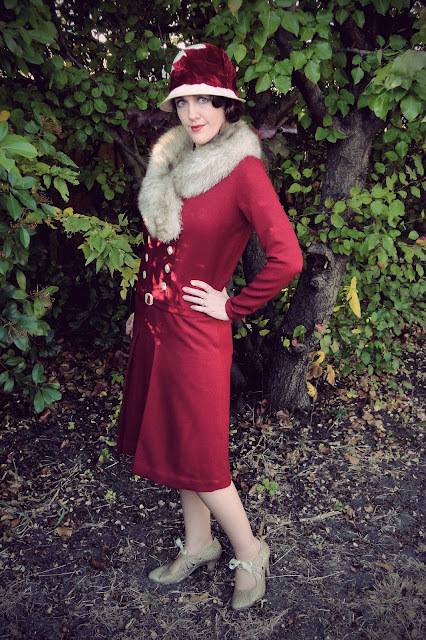 Although you see a ton of fur collars on coats in the 20's, it's much harder to find them on dresses. I got really excited when I found this 1927-28 dress illustration in the book Montgomery Ward Fashions of the Twenties (there's a link at the bottom of this post), since it appears to have an attached fur collar and it looks so similar to my dress anyway. But there is nothing noted about it being fur in the text, so I'm guessing it was really some type of velvet or plush. 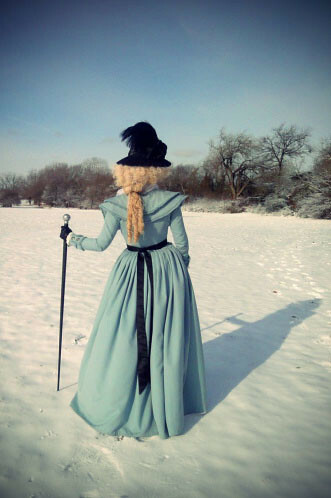 I have occasionally seen photos of women with fur collars worn with a dress, like this one, but I'm pretty sure most of those are stoles instead of anything that is attached. 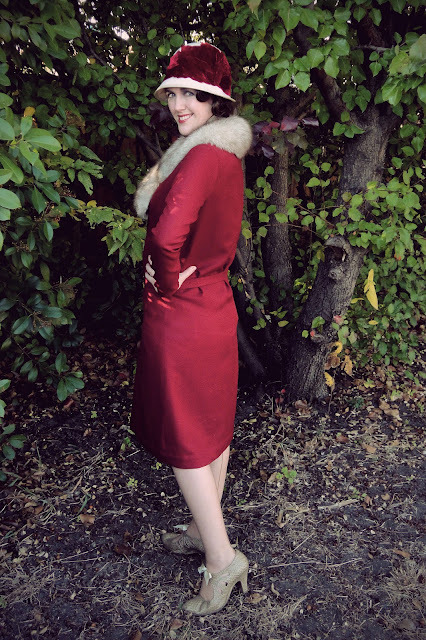 Obviously, it doesn't make sense to put fur on a dress that needs to be washed, but I was really determined to have a fur collar on this outfit, so I did it anyway. Shhh... don't tell the authenticity police! 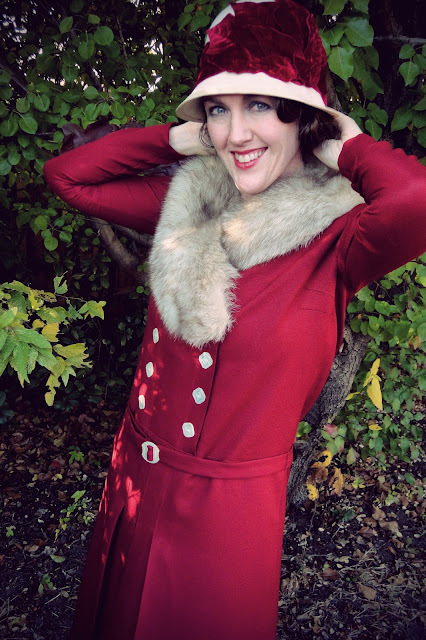 I found this clip-on fox fur collar on etsy, and since it is not permanently attached, I can still wear the dress and wash the dress without the fur, so I don't feel quite as guilty about it. My dress is made from polyester crepe, which is another strike against me on authenticity. But I had my mind set on making it in deep red, and when I was buying fabric for it last summer, this is the only dark red crepe that I could find. The buttons and belt buckle are all vintage mother of pearl. For the hat, I reshaped a modern wool felt hat using my vintage hat block. I'm kicking myself for not taking pictures of that process now, but I was so tired this past week that it never crossed my mind until I was almost done. But all I did was wet the hat and stretched it and pinned it over the block so it would sit down much farther on my head. 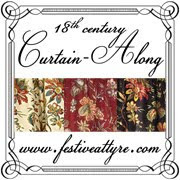 Once it was dry, I cut the brim to a shape that I liked, then wired and bound the edge of the brim with a strip of silk taffeta. 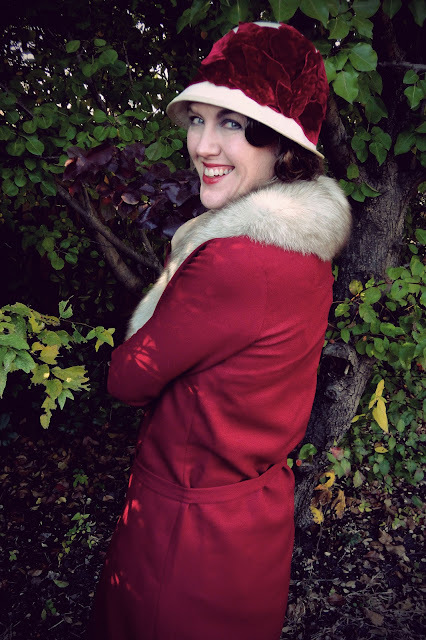 For the decorations, I had originally planned on making some fancy fabric flowers, but I ran short on time, so I ended up buying a huge velvet poinsettia from Hobby Lobby, and I hot glued the individual petals onto the hat. The shoes are from Aerosoles, and they are called Ticker Tape. 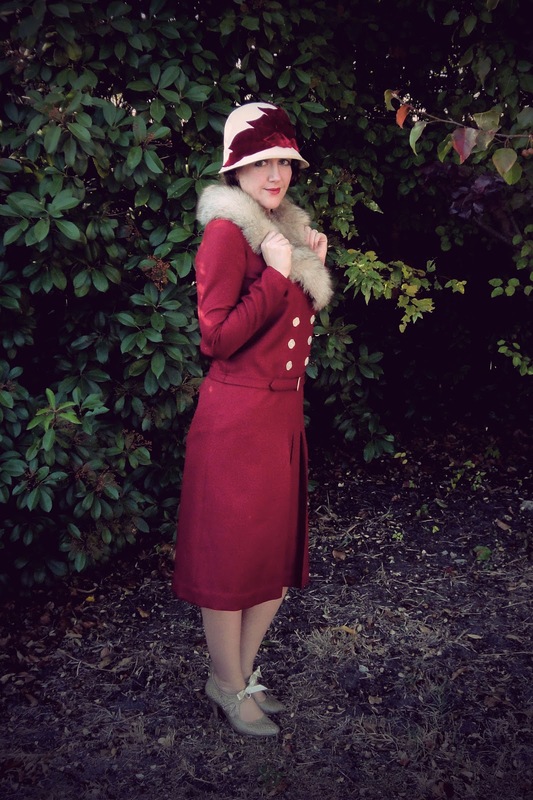 I thought they were so perfect for 20's costumes, and they were quite comfortable too. I just replaced the leather cord with a ribbon since I didn't like the way the cord looked on its own. Aerosoles has quite a few retro-styles of shoes, and they have good sales too if you are patient and keep checking back. So that's about it. I had a blast wearing this costume, and I was pleasantly surprised at the number of compliments that I received at the event. I guess 20's dresses might not be so terribly unflattering after all. ;) You can see more pictures from the event on my Flickr page.